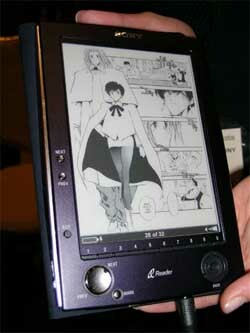 Remember the Sony Reader that we covered back in January during CES? Word around the street is that Borders will be selling the Sony Reader nation-wide at their stores in the future. Borders won't be selling eBooks, but they will sell prepaid cards for the Sony CONNECT service that allows users to download eBooks, online, for their Sony Reader. There is no set date for the Sony Reader release, but we will keep you posted as the information comes.